NASHVILLE, Tenn.--- Most American parents believe things are going well with their families – except when it comes to finances. And a large majority highly values their children having a relationship with God – except when it comes to taking them to worship. A nationwide LifeWay Research survey of 1,077 American adults with children under 18 living at home found 87 percent feel they have strong marriages. A full 74 percent strongly believe they will remain married for life, and 64 percent strongly agree that if they had it to do over again, they would still marry their spouses. As parents, 76 percent agree they give enough of their time to their children, but only 56 percent agree their families enjoy enough relaxing times together. Blacks, women and born-again Christians believe most strongly that they give their kids enough time, the study revealed. Parents with evangelical or born-again beliefs and people who attend religious worship services regularly are considerably more likely to report having strong marriages. When it comes to finances, however, barely half – 52 percent – agree their households bring in enough income to support their lifestyles. Asked what level of income would be needed to make them “financially comfortable” (not wealthy), 14 percent say they would need $10,000 more a year, and 47 percent say they need at least another $20,000. Only a tiny fraction – 4 percent – say they could be financially comfortable on an income lower than what they now make. Saving money regularly is a crucial element to financial security, but only 28 percent of parents agree their families puts enough into savings each month. More than two-thirds – 69 percent – express concern that their families can never seem to get ahead financially. Half of parents agree they want to give their children more materially than they already have, and almost three-fourths – 72 percent – want their children to have more than they themselves had growing up. The desire to give their children more than they had growing up was strongest among Hispanic and younger parents who, ironically, came of age during one of America’s wealthiest eras. Although a large number of parents are dissatisfied with their financial situations, many of them don’t have a plan to improve things, the research revealed. While 64 percent say they have clear goals for what they want to accomplish as parents, only 7 percent have put that plan in writing and only 50 percent agree their families have a financial plan for the future. While most American parents have a desire for more financial security and material comfort, the large majority also say they place a high priority on their children having a relationship with God. A full 87 percent of parents believe it is important to teach their children how to have a relationship with God, including 57 percent who strongly agree. Almost as many – 79 percent – agree they do that, but just 39 percent agree strongly. When the respondents were broken out by religious affiliation, however, significant disparities appeared between believing it is important and actually doing it. 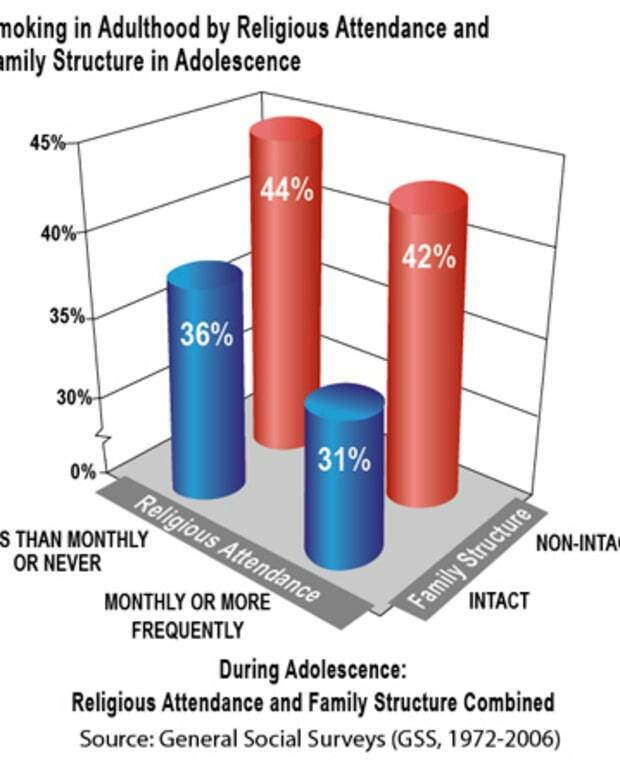 Only 55 percent of parents agree they try to take their children to worship services on a regular basis, while 47 percent agree they do not want to influence their children too much about religion, saying, “It’s important they find their own way.” Seventeen percent of weekly churchgoers, 41 percent of born-again Christians and 24 percent of evangelicals do not strongly agree that they need to take their children to services regularly. Methodology: The survey, conducted in June 2008, used a demographically balanced online panel to interview a representative sample of American adults who were primary caregivers for children under 18 years old in their households. Agreement questions were asked using a four-point scale: agree strongly, agree somewhat, disagree somewhat or disagree strongly. Except where noted, agree strongly and agree somewhat have been combined for reporting in this article. The national sample size provides 95 percent confidence that the sampling error does not exceed ±3 percent.